Greece continues to have the 2nd highest rate of C&C (Counterfeit and Contraband, including Illicit Whites) consumption in the EU, at 19% of total consumption, KPMG said in a Project Sun key findings report prepared for the Royal United Services Institute for Defence and Security Studies. Illicit Whites brand flows remained the main source of C&C, accounting for 44% of the total illicit volume. Three quarters of flows into Greece came from cigarettes with no country-specific labeling or counterfeit cigarettes. Greece also had high volumes of cigarettes with no country specific labeling where there was legal distribution in the country, including the brands Cooper, GR and Karelia. Outflows from Greece were mainly driven by tourists, who represented 87% of trips from Greece to EU countries in 2016. Few disagree that OCGs (organized crime groups) are behind the vast majority of C&C smuggling in Greece. Yet specific information on these groups is limited. This results, in part, from strong pressure on enforcement resources and a resultant focus on short-term operational priorities over long-term strategic approaches. Seizures are often the end goal, with few follow-on investigations taking place. Despite a limited intelligence picture, a number of trends can be identified. 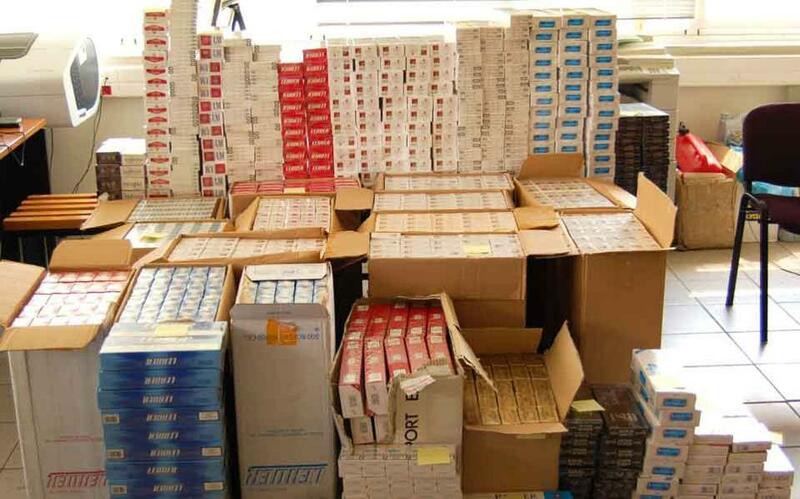 On land, illicit cigarettes enter Greece via “ant smuggling” across the borders with Albania, Turkey and Bulgaria. At sea, similar “little and often” smuggling takes place: Greece has almost 14,000 km of coastline, 2,000 islands and more than 500 vessels around the country at any one time, according to the Hellenic Coast Guard. These characteristics make smuggling by boat particularly challenging to monitor; sea routes change quickly as OCGs identify stretches of coast unlikely to be policed. However, the majority of C&C smuggling appears to occur via Piraeus and Thessaloniki ports. Meanwhile, a 2015 report by the Joint Research Centre on Transnational Crime suggests that as much as 70-75% of illicit cigarettes arriving in Greece are intended for other countries. Those cigarettes that remain in Greece are supplied to street sellers, kiosks and small shops, and sold openly in city centers.